This week Executive Board Members from IA Locals Nationwide gathered in Austin, TX to discuss the business of the IA. Tuesday morning was the Wardrobe Breakfast where all of the wardrobe unions get together to discuss their commonalities. 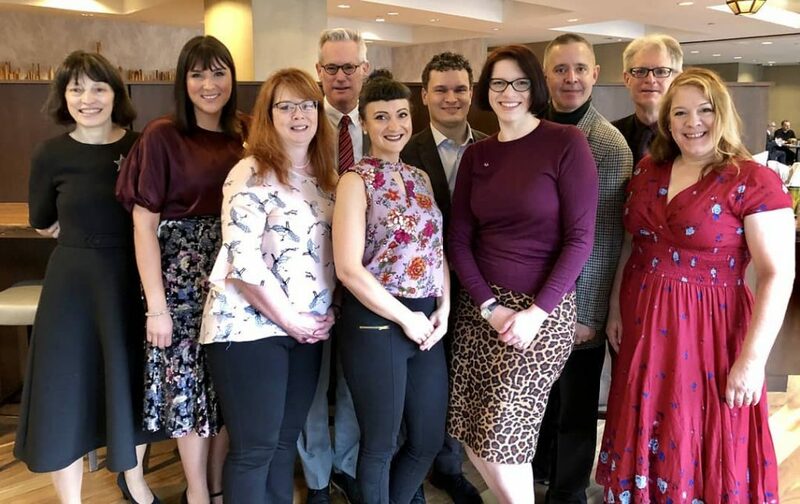 Pictured from (L to R) are: Patricia White, Liz Pecos (480), Cindy Jennings (129), David Swope (705), Celeste Pinder (895), Vangeli Kaseluris, Leah Okin, Thomas Pusateri (769), Frank Gallagher, Bethany Bohatila (705), and Delia Mulholland (887).